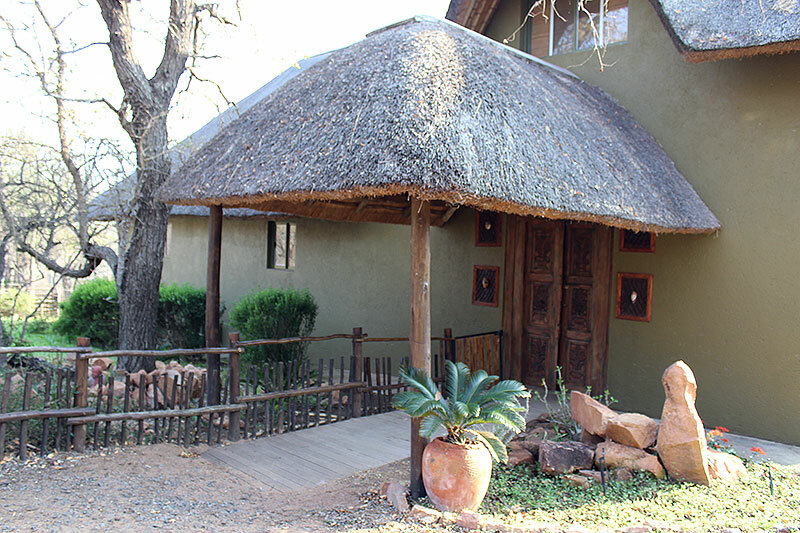 The private lodge is furnished and styled in a safari theme at peace with its surroundings and in total privacy with 3 adjourning bush plots. With your neighbors at a royal distance enjoy the nature surrounding you! 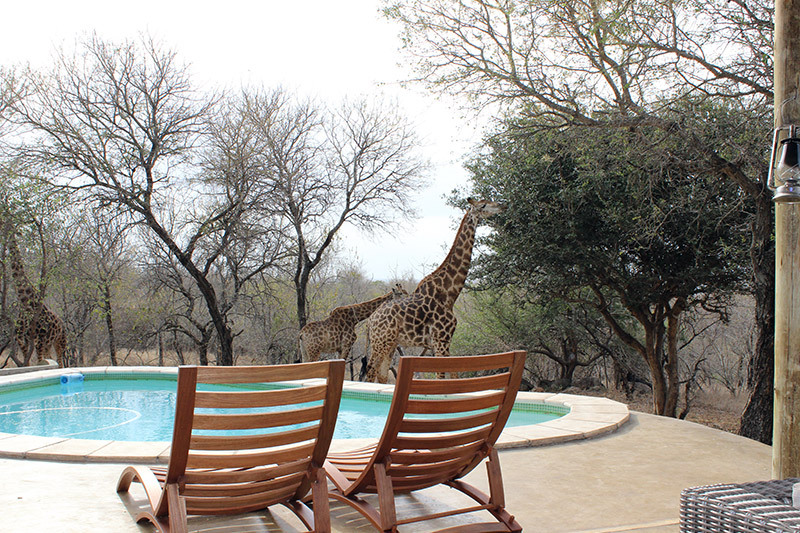 Leeus Villa is located in the Marloth Park, a huge game reserve where almost all of African wildlife roams free. For safety reasons the following wild animals are not in the park: elephants, rhinos, lions, cheetahs and leopards. The lodge has a private sundowner deck where you can enjoy the evenings with a glass of your favorite drink. Meanwhile you can appreciate passing game such as zebra, giraffe, kudu and warthog piglets. If you are lucky you could even be surprised by a visiting hyena or African civet. The lodge and its surroundings reflect calm, peace, relaxation and luxury. But adventure is just around the corner. With neighboring Kruger National Park just 15 minutes away you have a great chance of spotting the big five in the wild. Click here for more photos of the lodge.